The book is intended to be an introduction to the analysis of relation between human virtues and emotions. R. C. Roberts already published another book on emotions in 2003[] so the book under review looks as a middle step especially since there is no conclusion and, more, we are told that a more comprehensive study is in progress and will be published "in the not too distant future" (211). The first chapter is mainly a discussion with Rosalind Hursthouse's and Michael Slote's approaches to virtue ethics. The criticism Roberts makes is meant to help settle his own description, that is to present the concepts of emotions and virtues in their interconnections. Roberts makes it clear to the reader that his "own framework is Christianity" (24), though, I must say, it is not particularly referred to in Roberts' argument till chapter 8. 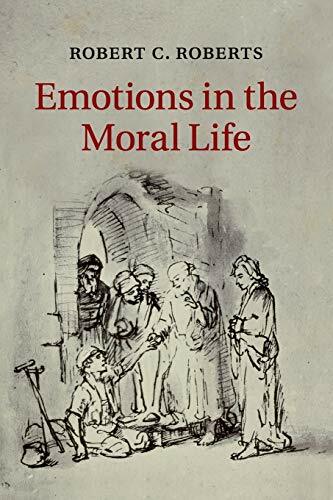 In chapter 2 Roberts overviews the kinds of virtues (epistemic, practical, consequential, eudaimonistic, aretaic, intrinsic) in their relation to the roles played by emotions. He underlines that "emotions play a variety of roles in the moral life, for better and for worse" (26) because they enhance and block (or degrade) moral knowledge. He writes: "emotions of almost all types [...] have positive moral status - also [in] some instances of almost all types [...] negative moral status" (32) I find this point remarkable because by making it Roberts surpasses the one-sidedness so often offered in the philosophical debate (emotions are considered as either only good or only bad). Historically, an approach similar to Roberts' was supported by Plato[], Aristotle and Descartes. In chapter 3 the reader learns that the interconnections of virtues and emotions are to be regarded not from the point of moral theory but from the point of "basic emotional psychology of the virtues" (38). This includes epistemic dimensions of emotions. Roberts draws a parallel between perceptions and emotions, both being construals of sorts with the difference that perceptions involve concepts (a famous case of duck/rabbit), while emotions are construals based on concern: only what one cares about can become the object of a specific emotion for him. Different kinds of concerns bring about different emotions in apparently similar situations: whether you are afraid of a snake or rejoiced at seeing it depends on whether you are or are not a herpetologist. Accordingly emotions are concern-plus-situation (or context) construals. In chapter 4 Roberts discusses eight objections against considering emotions as perceptions or something similar to them. One of them is that whereas perceptions pertain to present objects, emotions can be related to absent ones. Roberts' answer to this is that construals, both perceptions and emotions, cannot be reduced to having sensory content only: they possess a non-sensory content as well. Here, I think, Roberts could also say that in stating that emotions are perceptions of values the term perceptions is taken in a different sense than sense-perception. After all, the distinction lies in the presentedness of objects: physical presentedness in the case of perceptions differs from mental presentedness in the case of emotions (see e.g. Alexius Meinong). Drawing on Roberts' view it could be said that a value perceived in emotion is given as present even if the object carrying the value is physically absent. Chapter 5 is about true and false emotions, that is about emotions representing situations correctly or incorrectly. Since emotions are about representing they depend on subject's skills or competence and dispositions. A right emotion is an emotion conforming "to standards that are not themselves emotions [...] the standard of an ideally developed person" (93). I take it to be an attractive postulate, since as long as we don't know (how is) such a person we are unable to get knowledge about these standards. Even if any of us experiences the right emotions how can it be known? Roberts points to Aristotle's solution of the question. He assumes that emotional truth lies is the middle. But, again, how to know the middle? To say that it is a matter of calculation and that the middle "is equidistant from each of the extremes" (96) is either too general or too schematic. To know the middle one should know the two extremes in several respects (object, reason, intensity, duration, way, time of an emotion). Given they are not linear or spatial parameters, they are hard, if at all possible, to grasp. This is what Roberts is well aware of when he says: "[a]nger doesn't come in amounts [...] [i]t also varies along dimensions of non-quantitative appropriateness" (97). If so, how to know the canon of "your anger about what the boss said to you this afternoon"? (97) Roberts' solution is to translate emotional truth into theological emotional truth and to appeal to "the sovereign personal government of the universe" (112). In chapter 6 Roberts investigates the relation between emotions and actions. More precisely he argues that emotions' moral value is revealed by motivating moral acts. By the way in which emotions motivate actions we consider them more or less rational. Roberts remarks that although we meet emotions "not attended by the desire to do anything in particular" (116), a majority of emotions bring out actions which are to be understood "by way of satisfying the emotion's consequent concern" (118). Yet one might wonder if emotions as such lead to actions or if they do so via desires they trigger. To take the typical example of fear: does a frightened person behave in such and such a way, e.g. runs away, as a direct consequence of her being frightened or is she doing so because fear produces a desire to make her disappear? For Roberts, "[f]or motivation, desire is needed." (120). Because Roberts' understanding of emotions as "concern-based construals [...] conceptually particularized ways of caring about states of affairs [...]" (134) applies to "the majority of cases", we should maybe be cautious with generalizing this description which, I am afraid, leads to a kind of panmoralism. If, in fact, not all emotions are morally relevant (e.g. the joy of listening to music or the desire to learn more about geometry), a connection with value is not an intrinsic feature of them. In this case Roberts' claim is a weak one and should be better spelled out as relating to just one subclass of emotions (moral emotions?). Chapter 7 is about emotions in personal relationship. For Roberts emotions are what personal relationships are formed by in large part. He makes several useful distinctions, among them a distinction between being relationally good and fitting a situational object and another one concerning moral value and relational value. In claiming that an emotional response in a relationship depends on moral character he may be, however, too hasty as this presupposes that in every relationship persons are autonomous. Obviously this does not happen when psychological dependence is at stake: there can be apparent harmony, even a merging of two persons, yet no moral character of the depending person is in play. This is especially valid for the feeling of guilt (which Roberts discusses) which can be felt either because of a harm actually committed or because it has been inculcated by a dominating person, in which case it is inaccurate. In what concerns friendship Roberts understands it in a complex way: it is composed not only of dispositions but includes also various actions, thoughts, emotions, feelings and awareness. The last two chapters have surprisingly less to do with emotions. In chapter 8 Roberts limits his analysis to the nature of happiness (which includes objective and subjective happiness). To be sure, he understands it as "more than feeling good" (158). Ideal happiness is made up of metaphysical attunement (character) and circumstancial attunement (satisfaction). Roberts discusses passages from literature and also includes the words spoken by Wittgenstein to Mrs. Bevan two days before his death; and sometimes we find truisms (e.g. "Emotions that are based on shallow concerns are shallow [...]", (167)). This chapter is about the meaning of life, with a focus on Christian view rather than on the relation between virtues and emotions. Chapter 9 is meant to be a "prolegomena" to Roberts' next book. He mentions how virtues differ from and depend on each other. Both points are reminiscent of Socrates' discussion in Plato's early dialogues. For Roberts - like for Aristotle - the virtue sometimes "gets its name from the emotion" (198). This is the case of courage and friendship. In Roberts' view emotions are connected with virtues in two ways: either by expressing them or by being "managed, dispelled or missed out" by them (202). Roberts suggests, though in a sketchy way, the aretaic functions of emotions. It is visible, e.g. when an action is performed not because of a sense of duty but out of concern for justice and truth. Roberts' book is finely structured and, therefore, easy and pleasant to read: almost every single chapter has an introduction and a conclusion. [] Yet, I am still uncertain how to understand the somewhat paradoxical expression "unfelt emotions" (49). Roberts left it unexplained. Because of what is said later, I was inclined to think that he means unaware emotions (75: "I felt my bodily reaction before I felt the emotion, and came to feel the emotion only upon interpreting my bodily reaction. [...] construal doesn't require awareness of construal") or unconscious emotions (86: "felt emotions [...] unconscious emotions"), but I must have misunderstood him since, in another chapter, he claims that "you cannot be unaware of what you feel" (116). The book contains redundancies. For instance Aristotle's EN 1125b is quoted or referred to at least five times (31, 84, 92, 99, 200). This is because Roberts sides with Aristotle by claiming that a virtuous person's emotions are reliable while a wicked one's are not. This is a crucial and hence recurrent theme of the book. Now, the problem with this approach is that it leads to a circular argument: emotions of a virtuous person are reliable whereas a virtuous person is the one whose emotions are reliable. To say that a virtuous person's emotions are true perceptions of values helps little. Is this claim normative or descriptive? Roberts remarks that Aristotle doesn't set the rule. But Roberts doesn't set it either, I am afraid. He suggests to proceed by approximation ("with reference to what "we" think and praise and blame" (100)). We will agree that typically we follow Socrates rather than Alcibiades. But Roberts notices that emotional truth is culture- and tradition-dependent, "never absolute and final" (102). This may give rise to a more general objection to his account. Given that emotions play an epistemic role and their epistemic role has to do with values, the rightness of emotions has to be central. But at this point an aporia appears and the analogy with perceptions is of no avail. Seeing objects and feeling them is not much the same insofar as we can find, or so we do believe, a check for the rightness of perceptions, say he who is expert in music and recognizes intervals or pitches in a trustworthy manner which, in turn, can be checked by a gauge, while we can't do this for particular values represented by emotions of this or that person. Physicists may tell us about, say, the frequency of waves corresponding to colors perceived (though not of course about what it is like to see a body emitting waves of particular frequency), whereas we lack experts and instruments to analyses the real nature of values. Objects of feelings are not of the kind as to produce specific feelings. Or I am wrong and Roberts' example of brutality is a good example of a property existing independently. By analogy to colors, we may expect what feeling it provokes (or should provoke, if we prefer to stay on normative rather than descriptive grounds) and if another or different, let alone opposite, feelings emerge, we may say that the subject is mistaken quite like someone who sees red looking at the body emitting waves of frequency of ca 550 THz (which is green). But if this is Roberts' position I would be interested in knowing how far it does depart from Max Scheler's emotional intuitionism, called also non-formal apriorism. All in all this an inspiring book. In his analysis Roberts is attentive to the intricacies of emotions (e.g. "Emotions often [sic!] have important consequences [...]" (121), "Actions can and typically do derive from more than one emotion." (125), and other passages referred to above), but on a more general level such nuances, it seems to me, are left out of the picture which weakens Roberts' conclusions. [] See R. C. Roberts, Emotions: An Essay in Aid of Moral Psychology, Cambridge University Press, Cambridge 2013. [] Plato - which is rare - is mentioned in this context (see 35). This is important insofar as Plato is most often taken to be representative or paradigmatic of the negative approach to emotions.
] I was surprised to find misprints in what is a CUP paperback of a previous book (e.g. "qewriva" (17)). The book's title speaks for itself: for it is a defense of free will, and its subtitle adds a useful qualification: Baggini looks for a possibility and not necessity of free will, this is for conditions under which free will is thinkable and acceptable. The book is clearly structured and clearly written. Arguments are both intelligible for amateurs and interesting for specialists. The book is divided into five parts in which freedom is presented threatened, lost, regained, diminished, and earned. This corresponds to five stages of approach to free will in western philosophy. Baggini's aim is to respond to an increasing number of works, supported more and more by research in neurology, which deny the existence of free will altogether. He challenges it by "thinking more carefully about what it truly means to be free" (3). From the outset he is optimistic since there are "the tools we need to rehabilitate a reformed free will" (5). At the same time Baggini is sceptical about relying on thought experiments, often used to deny free will, because there are sufficient real-world examples at hand to deal with the issue. What they denied is free will of a special kind, not necessarily identical with what it can actually be. Accordingly, arguments of this kind miss the point. Baggini starts by discussing Laplace's famous answer and by showing that predictability and/or omniscience does not threaten free will. To know something as fixed in the future is not tantamount to fixing it in the future. Yet, determinism relies on the thesis that all that happens must happen because the world is nothing but a machine (while the human brain is, in turn, "just a complicated biological machine", 12). In fact, however, what poses a real problem for the idea of free will is physical materialism. If all human actions are just results of neurons firing, there is no longer anything like free will. If everything in a human being is a result of his brain chemistry, any act of thought, desire or emotion is nothing more than epiphenomenon of neural processes which occur according to physical laws and not according to a decision of a person who houses these processes. Baggini discusses several way of circumventing physical materialism (e.g. the 'I of the gaps') and he observes, rightly and convincingly in my view, that such attempts makes free will rather magical or inconsistent []. Both materialists and their critics are guilty of "mereological fallacy", since they replace the whole of a human person with the sum of her parts whereas, in fact, there is neither a compartment in the human body or brain nor a separate faculty that is responsible for thinking, feeling and willing. Those who look for anything specific to free will find therefore nothing. Yet to take this failure as a patent proof of non-existence of free will is an exaggeration. The only lesson to be learnt is that free will is to be ascribed to or to be searched for in the whole person. When it comes to genetics Baggini shows by referring to a detailed example of twins (Ann and Judy) that who they are is only partly determined by their identical genes. Although being similar in many respects, they are two very different persons in important ways (see 70). This is so, because, Baggini claims, "who we are appears to be a product of both nature and nurture, in whatever proportion they contribute, and nothing else" (71). The way Baggini dismisses genetics as a threat to free will is persuasive, yet I am not sure if he is right in limiting the human condition to nature and nurture: one might ask, for instance, what does the proportion of nature and nurture depend on. Is it a result of something else, or of either, of both? Baggini doesn't address this question []. When next he claims that "who we are comes first and what we do follows" he is correct (73), yet it may be added that what we do shapes, in turn, who we are. Consequently the relation is valid in two directions. Speaking about things like "statistical illiteracy" (64), "potential reporting bias" (65) or focusing on simplification when, for example, responsibility without qualification is understood silently as ultimate responsibility (see 77) Baggini nicely demonstrates the flaws often pervading common and scientific arguments. If they are avoided and the necessary qualifications are spelled out, it is manifest that what science, both neuroscience and genetics, destroys is "only a straw-man version of free will, a naive conception" (83) of it. In the third part the artistic and political freedoms are treated. What Baggini says about art and creativity comes mostly from what he learnt by interviewing Grayson Perry. Thus one can see how differently, if at all, artists think about free will. For instance, absence of conscious control in the process of creation not only does not undermine freedom: in fact its very presence could be counterproductive. What hinders artistic freedom is external constraint of which the biggest is time (this may make artists' view existentialist to some extent). But, again, Baggini stresses the context in which the artist lives and which animates what he creates. Creativity is an interesting domain to investigate the limits of human freedom, especially in how the artist goes beyond nature-and-nurture (or culture). But in order to realize it fully one should, I believe, use names of those who really developed culture in such a way as going far beyond what they found in their genes and environment. In the chapter about the dissident Baggini discusses a too rigid, in his view, distinction between political freedom and free will. In fact, his view, supported by examples he provides is that there is no sharp divide. But one may wonder if this is true. At least for some Stoics and existentialists you can be deprived of external freedom but not of internal one. This is, as it seems to me, confirmed by the story of Paul Rusesabagina of being prisoner of himself (see 110). On the other hand, if you say that "[w]hen your passport is taken, something of you is taken too" (113), this is external freedom that is at stake. The next part is about psychopathy and addiction. These are two worthy touchstones to test philosophical conceptions of a human being (psychopathy is well chosen as a kind of polar opposite to creativity). And so is here. Psychopaths like to present them as victims of an accident of birth and circumstances when on trial but not so much so when or before committing their crimes. The chapter is to a larger extent a discussion of responsibility and blameworthiness as well as of the role of punishment. Baggini interviews forensic psychotherapists and deliberates about the aim of the criminal justice system. He rightly focusses on the distinction between "the metaphysical question of what ultimately originates our choices and behaviours" and "the ethical question of what essentially regulates behaviour" (144). It is a pity, however, that the examples of psychopaths he gives are limited to ordinary criminals: serial killers, rapists etc. and not of great psychopaths like Hitler, Stalin or Mao to start with the most known dictators. Again, like in the chapter devoted to artists the bigger scale and format of art geniuses and psychopaths might perhaps make Baggini's arguments more compelling. Like the psychopath's, the addict's case provides a good test as to what free will is about. Baggini is clear enough in saying that addiction "is an impairment of free will but it is not a complete loss of it" (157). If it were the latter, an addict couldn't perhaps choose one particular substance over another at a given moment. Baggini shows that those who proclaim the absence of will or choice in psychopathy (see 150) and addiction (159) modifies thereby the psychopaths' and addicts' behaviour in such a way as to make it less autonomous and more irresponsible (or more generally: "if people are told they are not responsible for their actions, they may behave more irresponsibly" (150), drawn on experiments carried out by Vohs, Scholler and Baumeister). This way they contradict themselves. The issue of free will in addiction is better seen as a conflict between first- and second-order will. Where Baggini misses the point, however, is when he postulates to identify with these feelings that one accepts as his own (see 170). This is too general. In some cases addiction may be about having as introjected, say, one's parent's self (this is a psychological or emotional dependency of which addiction is just one form). The addict does not have his own independent self on which he might rely and which is yet to be built. Finally, H. Frankfurt whose views are referred to and quoted as of an expert is presented here in an odd way as a kind of addict or so it can seem: "he doesn't want to be too critical of this 'because I am an analytic philosopher: I was trained as such and I believe in it." (175) []. All in all, the four cases presented by Baggini, artist, dissident, psychopath and addict, support his view on free will as a matter of degree: it can be diminished (or increased) but it rarely disappears completely (or becomes absolute). The fifth part, including the two chapters, The Philosopher and The Waiter, is a conclusion. Baggini presents more broadly why the issue of free will is insolvable within philosophy. One of the reasons is that philosophers are often driven by personal interests and dispositions, emotions and intuitions, prejudices and personal judgements and it is not that true that "philosophy is about arguments, not arguers" (194). Otherwise free will is intractable if yes-or-no solution is expected. Moreover, it can be an opaque or ambiguous concept or a discretionary one. Its meaning can be fuzzy and better grasped in terms of "'more or less' rather than 'either/or'" (187). Finally it can be not a culturally universal idea. If so there are more than one notion of free will. Baggini's is a realistic view of free will which is such as to be a matter of a degree and understood "at the appropriate human scale" (217). On the whole I find - as will be clear from the above - the first part the most interesting philosophically and the richest in arguments. In other chapters what Baggini gives us is rather journalistic in style - he often relies on the authority of other authors. Baggini's quotes are many times second-hand. Sometimes this brings about the charm of the book but in some cases it matters critically because Baggini makes a claim without proof simply depending on another author. So when he says, "we have seen that the ancient Greek lack the modern idea of free will" (200). This may be true but this hasn't be proved by Baggini by any other way than calling on M. Frede's work. Yet, the book is easy to read and its optimism is welcome in the present-day "thicket of misconceptions, one that has become thornier and more overgrown in recent years" (208). [] In this context Baggini confuses Stoics with Epicurus crediting the former with the notion of 'swerve' (19). [] In the course of his arguments Baggini refers to several names. Here the name of Nicolai Hartmann could have been added since he extensively worked on the idea of levels of reality and sciences. [] An interesting solution to this is suggested by K. Dabrowski in his theory of Positive Disintegration by means of the notion of third factor. [] Baggini concludes by pointing out to "strategies to make sure control", one of which is "Ulysses trick" (177). This has been wonderfully analyzed by J. Shay, Odysseus in America (2002) in the chapter: What Was the Sirens' Song? Truth As Deadly Addiction.